The case to be discussed here is about a tax consultant in New South Wales Australia. His client has invested in shares. He has also invested in old and rare products which not available these days and even if it is available the cost will be very high. His antique products include an antique bed, a painting and a violin. He has also invested in a piece of land. First of all it is very important to understand the meaning of CGT which is also known as a capital budgeting gain transaction. One or more of this event can take place at a time. This event takes place when a property of the tax payer is abandoned. This capital gain transaction or event gives rise profit or loss on an investment as per section 102-20 of the ITAA 1997. A capital gain transaction is very important incase a person enters into a deal. There is no separate tax charged on a capital gain event. But it is charged including the taxation on any ordinary income (Austen et al 2015). When a tax payer is calculating his total income in a financial year he has to take all the gains he has made on his investment into consideration. The loss on the investments is not taken into account by the tax payer and it is thus taken forward. Such events are only valid on the properties which are brought on or after 20th September 1985 (Berger 2016). The Sale of Vacant Block of Land: A capital gain also takes place when a person buys an empty piece of land. When that person will abandon that piece of land he will be entailed to get gain on his investment. This is because that piece of land was used for his personal need and not for any business purpose. That piece of land was just his investment (Breunig and Carter 2018). Here the case is about the sale of this piece of vacant land. The owner of the land enters into a deal for the purpose of selling that piece of vacant land. While calculating the gain on this investment that is the piece of land it is important to add all the expenses done by the owner to the main cost of the land. All the other expenses done at the time of his ownership like the tax paid for water and land, the tax paid to the local body of the area and also the tax paid to the municipal corporation should be added to the actual cost of the investment. These expenses cannot be deducted from the total cost because the owner did not earn anything from it. This concept is applied when any such investment is to be sold and capital gain has to be calculated (Burkhauser et al. 2015). Antique Bed: Anything that was available ages back and which is very rare these days is termed as an antique. Some people collect the things like postage stamps, manuscripts, old coins and paintings of olden times and thus they are of great value to these people. Only if the cost of these collectibles is more than $500, then only gain on or loss on these investments are taken into consideration (Burton 2018). Here the case is about an antique bed being stolen. Since the bed is stolen, it has not been sold or abandoned so a capital gain transaction cannot take place. When there is a gain or loss on the investment then only a capital gain transaction can take place. However, here in this case the antique bed was not sold rather it was stolen from the owner’s house (Chardon et al. 2016). So there was no question of any gain or loss on this investment. Now since the antique bed was not in the list of the insured items of the owner, he had to pay an insurance amount of $11000 (Coffman et al 2016). 1. Paintings: Any loss which incurred from a property which is of personal use to the tax payer is not to be taken into consideration while paying the tax liabilities. Similarly any gain that rises from the personal use of a property is not to be taken into consideration when the cost of it is below $10,000. Gain is obtained from investments like collectibles or land and buildings (Daley and Wood 2015). Thus, in this case the cost of the painting is $2000 which is less than $10000 and since the painting was brought on 2nd May 1985 which is prior to 25th September 1985 cannot be considered for a capital gain transaction (Datt and Keating 2018). 2. Shares: A capital gain transaction takes place when a shareholder sells off his shares. According to the ITAA 1997 if a shareholder sells off his share, then any gain he obtains by selling these shares becomes an ordinary income for him (Deutsch 2018). Here in this case a person sells off the shares of the Build Limited, Common Limited and Young Kids Limited. In the case of Build and Common Limited there was gain while in case of Young Kids Limited there was a loss. However, the shareholder can claim for his loss on selling his shares (Dunne 2016). 3. Violin: A violin is not considered as a product of interest to its owner, thus a violin is not a collectible as per sub section 102 of ITAA 1997. The items like household goods and electrical goods are products that are considered to be of personal use to the owner (McGee et al 2016). Here, in this case, the cost of a violin was $5,500 and it was sold for $12,000. 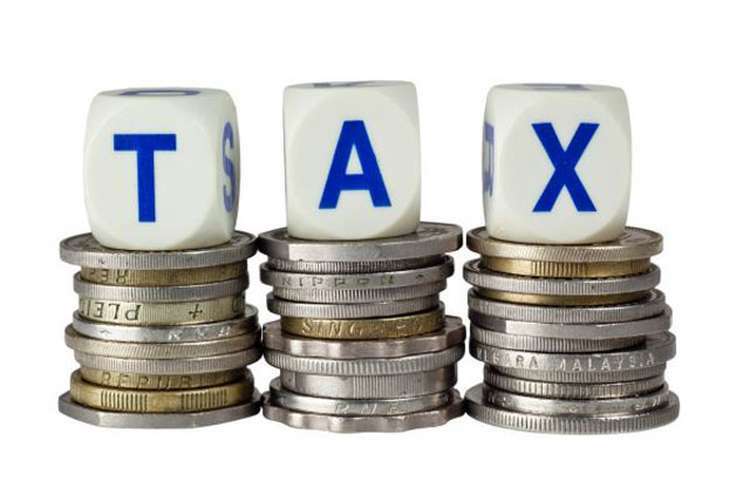 Therefore while calculating the income tax the gain on the investment is not considered. The reason behind it was that the actual price of the violin was below $10,000 (Mintz et al 2017). The issue here is about an employee of the Rapid Heat Private Limited. The company for work purpose gave her a car. The main motive here is to find out that if the car given to Jasmine is a form of fringe benefit. It needs to discuss that whether Jasmine is require to pay any expenses related to the car or not. Whether Jasmine has to pay for the money spent on car parking or not. All these issues need to be discussed. The fringe benefit on loan in case if any loan was given to Jasmine would also be discussed (Richardson et al 2015). Any type of facility given to an employee by his employer apart from their salary is termed as fringe benefit. This type of benefit is given to an employee for being the part of the company in which he is working. For the first instance, it is needed to figure out the taxation consequences for the benefits provided along with the car. In section 7 of FBTAA 1986, it is stated that a car provided to the employee for personnel usage will be considered as a fringe employee benefit (Rimmer et al 2014). In the case law of FCT v Lunney 1958, it is stated that if the car which is provided by the company to the individual is used for travelling from home to office, it will be identified as a car fringe benefit and this benefit will be included in the taxable income (Schneider et al 2015). In the next segment, as it is stated in the section B22A of FBTAA 1986,the payments made by the employer for the expenses made by the employee will be considered as a expenses payment fringe benefit and this benefit will be accounted for taxation purpose. The reimbursement or the payment must be given as a compensation for the payment made by the employee in order to consider it as a fringe benefit for expenses payment (Taylor and Richardson 2014). 1. The car needs to be parked inside the office premises. 2. The car needs to be parked within one km radius from the office. 3. It should be parked for more than one hour a day. 4. The taxpayer daily should personally use it. For the last issue, it is needed to consider the legislations stated in section 4 of FBTAA 1986. In this section, it is said that if the employee is enjoying a interest rate provided by the company which is much lower than the statutory rate of interest in the market, a fringe benefit will be triggered from this and the benefit will be considered for taxation purpose. The benefit is calculated by deducting the lower interest rate from the market interest rate (Vegh and Vuletin 2015). Here her employer has provided Jasmine with a car for her work purpose. The company has given her this facility because she is rendering service to the company. Hence, this is an additional facility given to her apart from her salary. In other words, this is her fringe benefit in accordance with section 7 of FBTAA 1986. Jasmine is using the car to travel from her office to home and from home to office. This will be taken as a personal use of the car. However, she is not getting and income by travelling in the car. Hence, she has to pay the tax on this additional benefit provided to her (Wilkins 2015). She can later claim the expense that Jasmine has to bear due to the car provided to her by her employer and the employer will reimburse it. The expense related to the car can be provided to her for her personnel usage or her employment status. If the expense incurred is because of her work then her employer will be bound to reimburse the entire amount. This reimbursed is bound to bear tax on it as it is stated in section B22A of FBTAA 1986. Fringe benefits on a car needs to paid only if the facility of the car is provided by an employer to his employee and the employee uses the car to travel to office at least once in a day. If the car is parked only in an area limited to his place of work or within a kilometer from it then fringe benefit needs to be paid. In case if the car is not used by Jasmine for 10 days, in accordance with subdivision B39C of FBTAA 1986, the fringe benefit on it is not applicable. As it is stated in section 4 of FBTAA 1986, if an employee gets a loan from his employer and which offers lower interest rate than the statutory benchmark, the fringe benefit incurred from the loan will be taken into consideration. Here the employer in comparison to the actual level of interest given legally gives the employee a loan at very low level of interest. Thus in the case of Jasmine the reimbursement of the expenses related to the car was done by her employer. The reason was that she used the car only for her office work. An expense of $550 incurred which her employer reimbursed. However, when Jasmine parked the car outside the airport for ten continuous days, the parking expenses that incurred was not borne by the company. This happened because the car was not parked in her office area nor was it parked within one kilometer of her office. Thus, there was no reimbursement by the employer and no tax on the car parking was applicable. Jasmine was given a loan of $50,000 by her employer at an interest of 4.25% which is less than the interest rate given as per the rules. This is a form of an advantage given to Jasmine. Thus, it can be said that the additional benefits given to Jasmine in the form of car, repairing expenses and loan will give rise to fringe benefit tax. However, the expenses paid for the parking cost will not be considered as a fringe benefit as the circumstances of the payment was not incurred in accordance with the legislations stated in FBTAA 1986. In the case to be discussed here, Jasmine gets a loan of $500,000 from her company Rapid Heat Private Limited. She purchases a property from the loan amount and gave the remaining the $50,000 to her husband. The husband then used his share to buy some shares. Because of this Jasmine can claim for the loss she got from this loan amount. If an employee purchases a share from the loan amount, he got as an additional benefit from his company the interest on the loan would usually be deducted for the income tax purpose. The income tax charged on the loan would be reduced in way that is lesser than the usual taxable income. A loan in the form of an additional benefit is given to an employee by the company in order to fulfill all expenses incurred the employee for the purpose of his employment. Buying of shares from the loan given by the company as a fringe benefits falls under another scheme. In this condition, the employee is given an option to purchase share in the company. Purchasing of share under this condition is bound to be a taxable fringe benefit. This type of fringe benefit can be used the employee at any point of time. The employee usually makes use of this benefit when the shares price has increased. The option given by the company to buy shares on it is a taxable benefit. The fringe benefit tax will be applicable only when the employee uses the option of buying shares in the company. The employees are even allowed to transfer their shares in order to attain profit. The tax on the profit by transferring the shares is calculated taken into consideration the market value of the share if it is higher than the actual price in which the employee has purchased. This done to calculate the fringe benefit tax on it. Therefore, in the case of Jasmine who got a loan from the company could have purchased shares of the company from it instead of giving it to her husband who even purchased shared from it individually. If Jasmine had purchased share of the company she would have been benefited in many ways. That particular who purchased share would feel connected to the organization. He or she will have a sense of ownership in the company and the burden of paying tax would be reduced. Hence, Jasmine should have purchased share instead of given it to her husband. 1. Austen, S., Sharp, R. and Hodgson, H., 2015. Gender impact analysis and the taxation of retirement savings in Australia. Austl. Tax F., 30, p.763. 2. Berger, L.L., 2016. Bitcoin exchange transactions: income tax implications to consider within the south african environment(Doctoral dissertation). 3. Breunig, R.V. and Carter, A., 2018. Do Earned Income Tax Credits for Older Workers Prolong Labor Market Participation and Boost Earned Income? Evidence from Australia's Mature Age Worker Tax Offset. 4. Burkhauser, R.V., Hahn, M.H. and Wilkins, R., 2015. Measuring top incomes using tax record data: A cautionary tale from Australia. The Journal of Economic Inequality, 13(2), pp.181-205. 5. Burton, M., 2018. Extending the tax expenditure concept in Australia. 6. Chardon, T., Freudenberg, B. and Brimble, M., 2016. Tax literacy in Australia: not knowing your deduction from your offset. Austl. Tax F., 31, p.321. 7. Coffman, M., Wee, S., Bonham, C. and Salim, G., 2016. A policy analysis of Hawaii's solar tax credit. Renewable Energy, 85, pp.1036-1043. 8. Daley, J. and Wood, D., 2015. Fiscal challenges for Australia. Grattan Institute. 9. Datt, K. and Keating, M., 2018, July. The Commissioner's obligation to make compensating adjustments for income tax and GST in Australia and New Zealand. In Australian Tax Forum (Vol. 33, No. 3). 10. Deutsch, R., 2018. Numbers, numbers, numbers-What does it all mean?. Taxation in Australia, 52(11), p.593. 11. Dunne, J., 2016. The MAAL and the diverted profits tax-a comparative. Taxation in Australia, 51(1), p.21. 12. McGee, R.W., Devos, K. and Benk, S., 2016. Attitudes towards tax evasion in Turkey and Australia: A comparative study. Social Sciences, 5(1), p.10. 13. Mintz, J., Bazel, P., Chen, D. and Crisan, D., 2017. With global company tax reform in the air, will Australia finally respond?. Minerals Council of Australia, Melbourne, Australia, March. 14. Richardson, G., Taylor, G. and Lanis, R., 2015. The impact of financial distress on corporate tax avoidance spanning the global financial crisis: Evidence from Australia. Economic Modelling, 44, pp.44-53. 15. Rimmer, X., Smith, J. and Wende, S., 2014. The incidence of company tax in Australia. Economic Round-up, (1), p.33. 16. Schneider, F., Raczkowski, K. and Mroz, B., 2015. Shadow economy and tax evasion in the EU. Journal of Money Laundering Control, 18(1), pp.34-51. 17. Taylor, G. and Richardson, G., 2014. Incentives for corporate tax planning and reporting: Empirical evidence from Australia. Journal of Contemporary Accounting & Economics, 10(1), pp.1-15. 18. Tredoux, L. and Van Zyl, S.P., 2018. Some drastic measures to close a loophole: the case of Pienaar Brothers (PTY) LTD v Commissioner for the South African Revenue Service (87760/2014) ZAGPPHC 231 (29 May 2017) and the targeted retroactive amendment of Section 44 of the Income Tax Act 58 of 1962. Potchefstroom Electronic Law Journal, 21(1), pp.1-36. 19. Vegh, C.A. and Vuletin, G., 2015. How is tax policy conducted over the business cycle?. American Business Economics Journal: Economic Policy, 7(3), pp.327-70.